Put An End To Your Pet’s Shedding Fast, Easily & Safely With A Stunning Slicker Brush! Our slicker brush is guaranteed to be durable and long-lasting. That’s why they are covered with our no-questions-asked, LIFETIME guarantee. 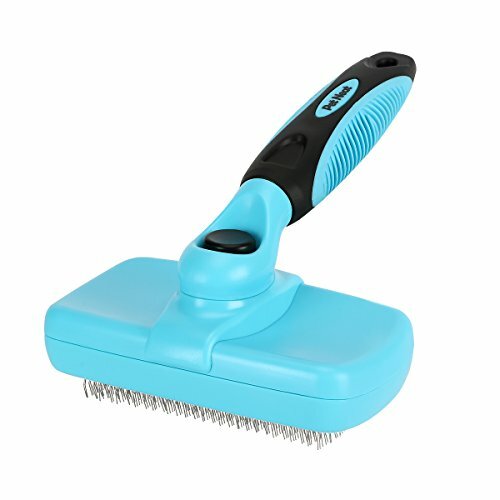 The perfect brush to get all nasty mats out of your pet's fur. Pet Neat Slicker Brush gently removes loose hair, and eliminates tangles, knots, dander and trapped dirt. Works great on dogs and cats with all sizes and hair types!Get rid of mats without hurting her - The bristles are fine bent wires designed to penetrate deep into the coat and is really able to groom the undercoat well without scratching your pet's skin! If you have any questions about this product by Pet Neat, contact us by completing and submitting the form below. If you are looking for a specif part number, please include it with your message.